A nice Saturday afternoon matinee, eh? 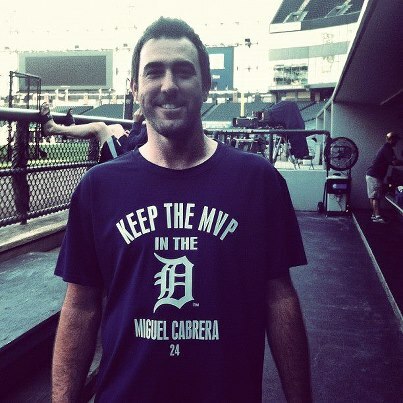 Justin Verlander went 7 innings, allowed 4 hits, 1 run, 2 walks and notched 7 Ks. Miguel Cabrera cranked his 43rd homer, to tie Josh Hamilton for the AL lead. Once, again, Miggy leads all three categories - 43 home runs, 136 RBIs and a .327 batting average - in his pursuit of baseball's elusive Triple Crown. The Tigers beat the Twins 6-4. The Rays beat the White Sox 10-4. That gives Detroit a 2-game lead in the AL Central with 4 games left in the regular season. 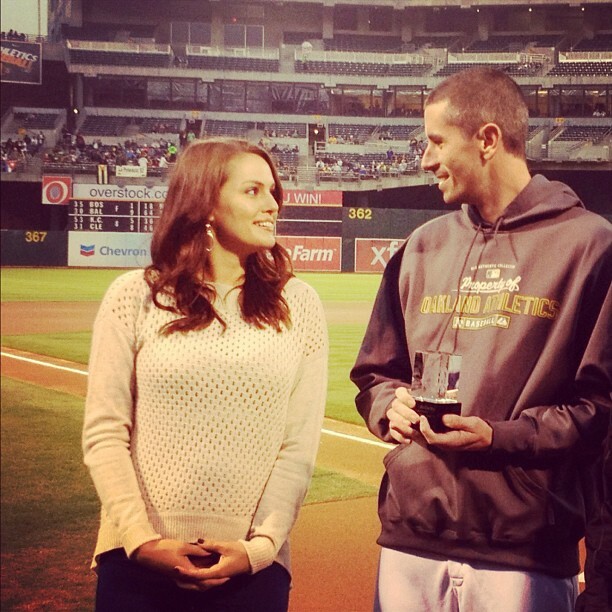 The 2012 edition of the Oakland A's just knows how to get it done! The Athletics were losing 4-2 to the Mariners when Josh Donaldson hit a 2-run shot in the 9th inning to tie the game. Then, Brandon Moss hit a 3-run dinger in the 10th to give the A's a 7-4 win. 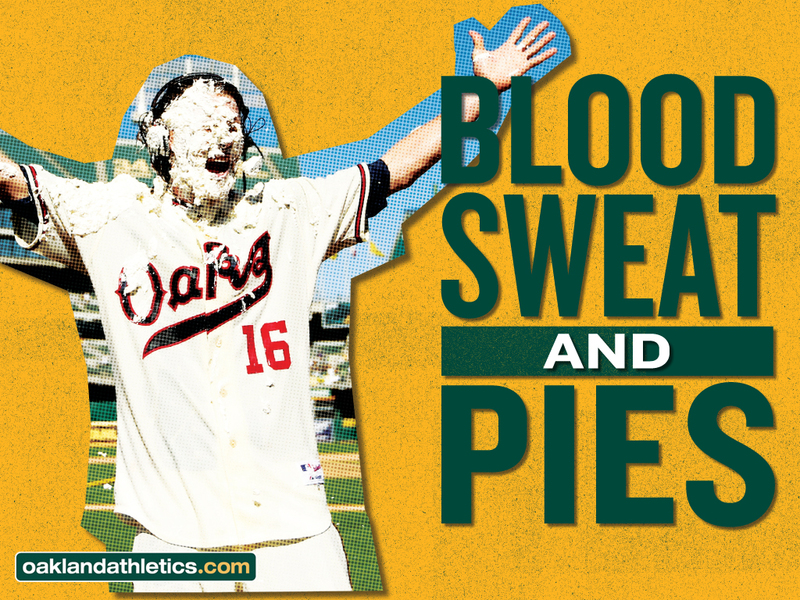 It was Oakland's major league-leading 14th walk-off win! Keeping with tradition - Brandon Moss got pied for his heroics. Brandon McCarthy, who had brain surgery on September 5th, has been cleared to play catch and plans to be in uniform for the rest of the A's homestand. Brandon and his wife, Hot Baseball Wife Hall of Famer, Amanda, on the field to accept Brandon's nomination for the Roberto Clemente Award.